Raymond Aaron has shared his vision and wisdom on radio and television programs for over 40 years. He is the author of 10 best-selling books, including Branding Small Business For Dummies, Double Your Income Doing What You Love and the co-author of New York Times best-seller Chicken Soup for the Parent’s Soul and author of the Canadian best-seller, Chicken Soup for the Canadian Soul. He is also an avid adventurer having completed one of the world’s toughest races, Polar Race (a 350 mile foot race to the Magnetic North Pole). This trek to the North Pole has inspired his newest title, How You Can Get Rich Without Getting Cold. 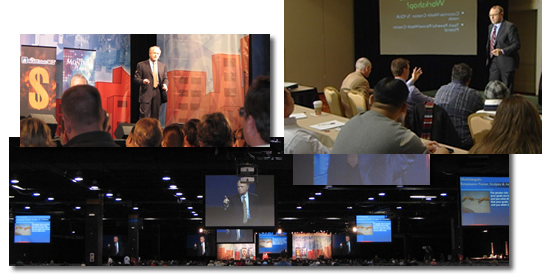 Raymond Aaron remains one of the most sought-after speakers in North America. He lives with his wife in Toronto, Canada and is the father of two daughters and two step-daughters and he is particularly proud of his grandson and three granddaughters. Author of 10 books and co-author of the New York Times bestselling Chicken Soup for the Canadian Soul™ and Chicken Soup for the Parent’s Soul™.